Education of any subject plays an important part in our society. Through education we grow our community both intellectually and creatively, as the education I am referring to is arts-based education. Historically relevant museum exhibitions, workshops, children’s art classes and community engaged arts projects are a few of the many ways that arts education can take place. Focusing on the arts with children is the best way for a future generation to appreciate creativity as well as engage in being part of art creation. Developing young minds to be creative ones ensures creative things for the future. One local company that is focusing solely on the arts education of young minds is Right Brain Child who provides the service of arts classes and tutoring for ages K-12. 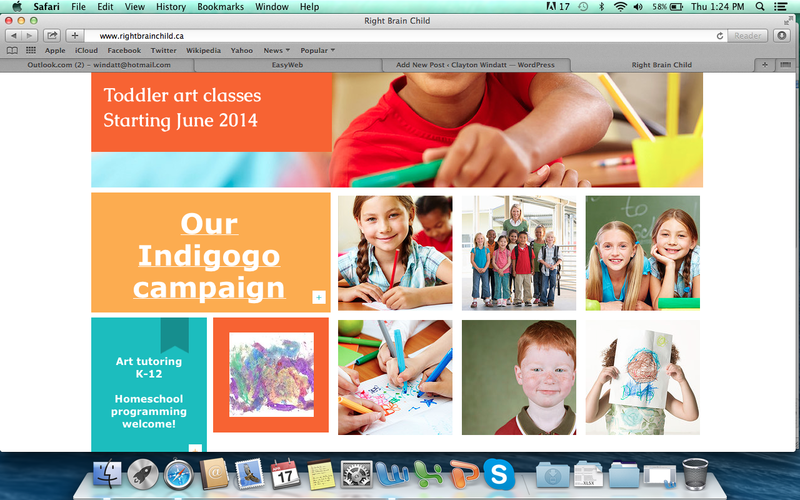 Right Brain Child is comprised of a team of creative practitioners led by local artist and educator Adam Beanish. They use their vast experience towards educating children and young adults by conducting arts workshop of all kinds. By sharing their passion and knowledge they inspire future generations towards inventive art activities nurturing our local youth and celebrating creativity. Right Brain Child’s company is based out of Callander, Ontario but is setting up shop in North Bay’s downtown this summer at a location that will be announced shortly. They are expanding their services to include a conveniently located space in the downtown core so that weekly workshops can begin serving North Bay’s arts education needs. I know this because I have just finished supporting their indiegogo campaign, which is set to raise funds for the materials they need for starting up. The campaign has about a week left before it ends and they have reached half of the funds needed to succeed. Supporting youth education is a no-brainer but to also be supporting job creation, entrepreneurship as well as the development of North Bay’s downtown core? This campaign ‘s success is an important cause that I think we all can believe in. 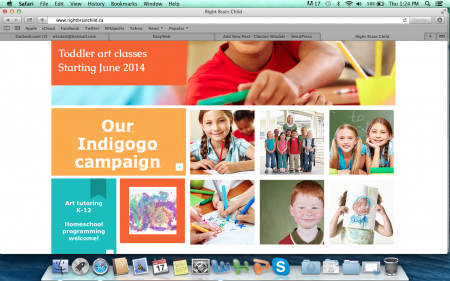 To support their campaign go to: www.igg.me/at/rightbrainchild. For more information about Right Brain Child you can visit their website by going to: www.rightbrainchild.ca or contact them directly at (705) 845-5278 or by email: adambeanish@gmail.com.